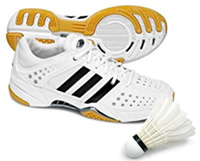 We generally enter around ten teams in the InterClub competition run by Badminton Canterbury at Badminton Hall. We have teams to suit all abilities from A Grade through to C Grade and Doubles only grades. If you would like to play InterClub please contact John Morrish (see our contacts page), or use our online registration form which includes Interclub team preferences.